Very active and determined students at the American University of Dubai! Few months ago they started their own Diving Club and and in turn they contacted the UAE Dolphin Project as yes, they want to dive but also, through their activity, they want to make a difference towards the conservation of the marine environment. Talk was set for the 2nd of November with an impeccable organization lead by the student organiser Karina. Not only they were interested in knowing about dolphins in UAE, but they took things seriously! A whole student crew was there getting ready the room with latest filming technology, Go Pros, lights and microphones! Lead by their professor in Digital Media they filmed the whole event that they will make into a professional video. Thank you for having the UAE Dolphin project and we look forward to seeing your work and further the collaboration! 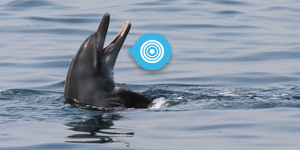 UAE dolphin project is on air!